The Sculpture received the Fullers Peoples Choice Award. 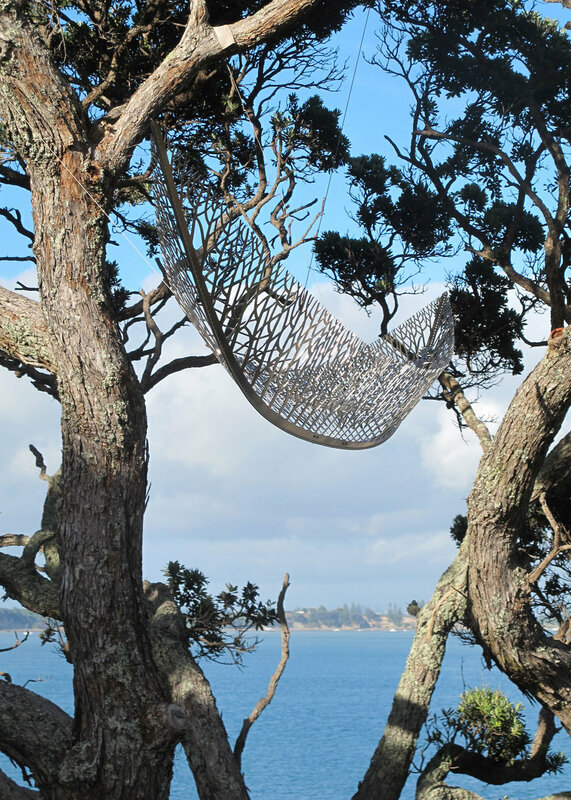 The installation of branching vessel forms evolved to become a fleet of delicate and filigreed Artworks suspended in a Pohutukawa tree above the sculpture trail. 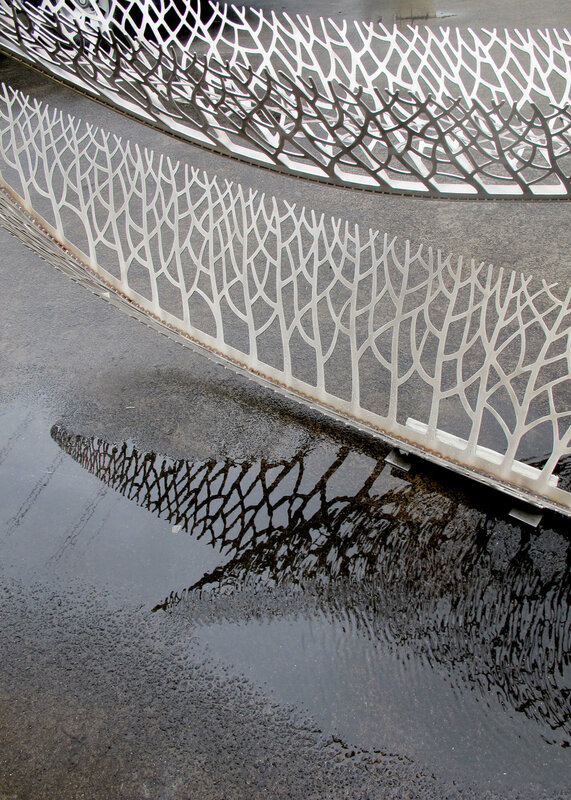 The Sculpture was conceived to create comparisons between the nautical, botanical and anatomical. While the forms suggest boat hulls, and empty seedpods, associated with water and land, the installation makes reference to environmental migration, endurance, and loss. The empty vessels appear stranded in space, and allude to immigrant’s deprivation and abandonment. The suspended vessels of Phantom Fleet imply rising seas, and the urgency of addressing global warming. 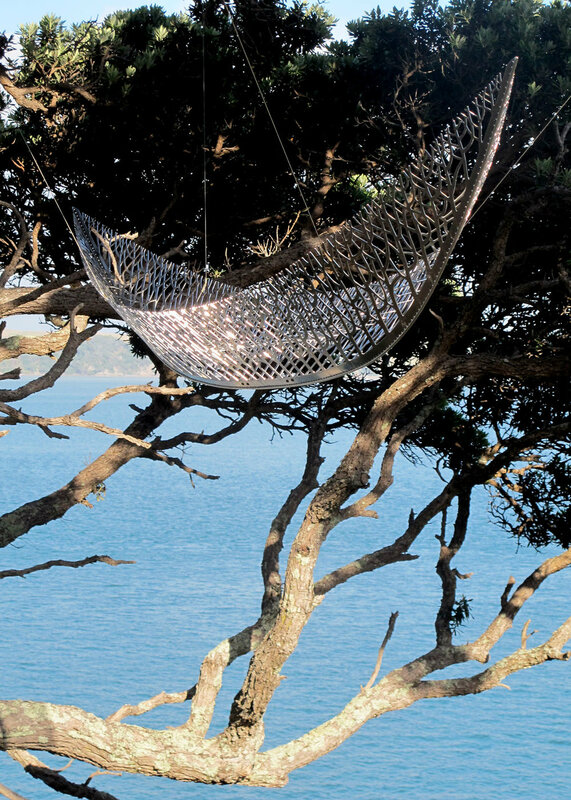 Suspended above the Waitemata harbour the forms suggest another dimension. In this location surrounded by the elements of air, earth and water and exposed against the sky the vessels become archetypal forms, evoking ancient mythologies, and echoes of departure, survival and hope. Materials: 3mm Marine Grade 316 Stainless Steel, the works are hand finished and electropolished. Each artwork has a fabricated stainless steel stand, for ground or in a pool display. Created initially as the Maquette for the Phantom Fleet Vessels. The Artwork series is an edition of 25.